Though you call yourself George Bush, we will call you Gergis Chekhona. The angel whose name you carry is Gergis and your grandfather is Bush, Chakka, therefore Chekhona. Must we teach you everything? You could possibly ask why we are writing you a private letter. We have generously bestowed harvesting advice on farmers, plumbing advice on contractors, wiring advice on electricians, coffee-roasting to mothers and now we give you advice on how to rule your country. If you refuse, we shall expose all of you. You will pay for picking the Weyane over us. We know your secrets more than you do, we even know American secrets you do not know. Your tricks and conspiracies are transparent, and America’s dream of hegemony is dangerous. We have decided to make your true nature known to every Eritrean (and American). Your CIA operations are an open book to us- we are an expert on that. When people all over the world read this letter that exposes issues previously considered secret, they will certainly envy Eritreans. They will discover how we share all secrets with our people. Though you want to diminish our greatness, this letter is a proof of how wrong you are. Check what happened to Bandini, Hassen Gouled, Mengistu, General Degaulle, Turabi, Mussolini and the so-called Alexander the Great before them. You will find us behind their downfall. Our people are always amazed by our blunt and open nature and our vast knowledge of world politics. However, when they read this letter, they will not have to go far to confirm that our type of leadership is what every country in the world needs, even the imperialist and Zionist USA. We know a lot. 4 Year Terms For Kings? While we laugh at other American kings, especially your father, for abdicating after only four years, we laugh at you for worse reasons: for too long, you have been tricked by a Weyane girl who is now outgrown her shoes and is conspiring against us. She will be exposed. Thanks to us, everyone will know who she really is. She is no more the bright black girl who made it to the top but one who cheated her way there. What she did is trickery. We even phrased a Tigrinya word for her deeds, Aaloq. Who are Berchqo and Amleset Gebreananya? Girgis, we are sure you do not know the background of people you have trusted. Though she tried to hide her true identity for years, one of them remains Berchqo Gebreananya who was born in the poorer quarter of poor Mekele. Mekele is not in Djibouti, it is not in Kenya, it is not in Begemidr; we can say it is in Tigrai. If we are going to talk about the daughter of Gebreananya, it can be said she is a Weyane. Berchqo is from Tigray and therefore, she is Weyane. It is possible to say that we might be her blood relation. But we will not let that relation cloud our judgment in exposing her. Just like her Weyane cousins, she claims to be from Ethiopia, she is not. Weyane are from Tigrai and cannot be from Ethiopia. We cannot be tricked anymore by the old American Shitara and Aaloq. We have known Brchqo and her sister since they were walking barefoot to school on the dirt roads of Mekele. It can be said we had our suspicions. About seven years ago, her younger sister Amleset, tried to hide her true identity as well. She tried to act smart when she was only a woman in a mini-skirt. She could not accept her femininity and pretended to be as smart as a man. Though just a kid, she wanted to act as our equal. We were patient and didn’t want to disrupt her livelihood. Though we knew she was Amleset the moment she walked into our office; we kept the secret to ourselves. America had the temerity to send us a peasant girl from Mekelle to negotiate! Now, both daughters of Gebreananya have crossed the line. Brchqo joined the Weyane in the seventies–at least that can be said is a result of our teaching the people of Tigrai how to rebel. She joined the armed rebellion that we created to liberate Tigrai. It can be said, unlike the EPRP, we allowed her to fight alongside the TPLF where she stayed for only two years. We also know that she is related to Sebhat Negga on Adey Tsadqan’s side. It can also be said that she was a classmate of the head of the Weyane who says he is the prime minister of Ethiopia. We saw her last in Sahel when we were solving the problems with the Weyane and trying to find refuge for the useless Amma in the seventies. Then she disappeared, Koblila, as we say in Eritrea. Everyone knows about the White man she was talking to in Port Sudan. He is a CIA agent. We know he planned her escape, as a stowaway, from Port Sudan on board a Greek cargo ship carrying olive oil bound for Mexico. By the way, the cargo belonged to the Red Sea Corporation and the Mexicans haven’t paid for it. So, relay a message to your friend Vincente Fox (Wedi Wkharia), NAFTA or Benzine, we will invade Mexico in due time. But let’s forget the gual neger and talk about the neger, as we say in Eritrea. Once in Mexico, she walked across the Arizona Desert and sneaked into the USA wearing a T-Shirt with a slogan on the chest reading, ‘I am not Brchqo’. It is not un-amazing! There were no Minutemen then. She even carried an American flag to cheat the border patrol. We know of the false ID that she bought in Los Angeles through the help of the CIA that enrolled her at a California university. From there, she faked her way, and climbed up the government ladder and ended up in a top position within the American Administration. Brchqo took the whole academia, the think-tanks and the White House for a long ride. Until now, no American ever discovered her true identity. Even you, Gergis the gullible appointed Berchqo as your Secretary of State and my soldiers were wondering: Berchqo is “their foreign affairs chief”! They couldn’t believe she tricked you. But we knew all along, for we know everything. 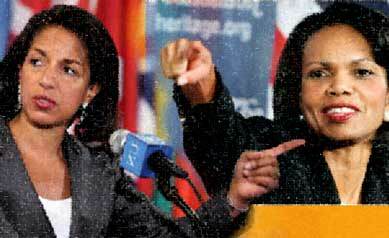 Brchqo Gebreananya has been passing as an American by the name Condoleezza Rice for too long. Her younger sister Amleset Gebreananya (we admit, for a Weyane, she is good looking) has been passing as Susan Rice for too long–and both claim to be doctors- one of our platoon leaders is better than all of your cheat doctors combined. What is wrong with them? Do they think Rice is better sounding name than Gebreananya? We wouldn’t call ourselves Isaias Rice for anything. Shame on them. By the way, whatever rumors you heard on what we did to Amleset, we have decided it is not true. Brchqo brought this on herself. She went out of her way to appease her cousins the Weyane. She has been ganging up with them against us all along. Everything that happened before, during, and after the May election in Ethiopia is her work. She shamelessly wasted the American taxpayers’ money and hired thousands of Ethiopian-Weyane-Americans who posed as voters and were responsible for the vote rigging, chaos, and violence. Everyone who wears a dark suit and dark sunglasses in Addis is an American agent. Until they read this, the poor Ethiopians don’t know of your tricks. They think your agents are simple tourists. They are naïve, and we always have to teach them. 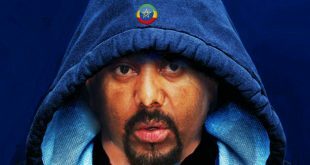 What have the Amhara done? What have the Afar done? What have the Somalis done? What have the Reshaida done–sorry, our mistake, Rashaida are ours–what have the Oromo done? By conspiring with Brchqo’s cousins, the Weyane, you have wronged all the tribes and clans of Ethiopia. Verily, you will pay for that. My ambassador in Washington DC is not sleeping either. He is diligently monitoring the CIA conspiracy and your government’s tricks. A true diplomat, he pretended to be a sweeper and worked at the Washington Dulles Airport for weeks collecting intelligence. Girma Asmerom wanted to resign his ambassadorship to work full time at the airport as a sweeper because there are more mirrors at the airport and he can admire his reflection every five seconds. But we reminded him there are no mirrors in our prisons and he has shaped up since. But while at Washington Dulles, he personally counted twenty planes that carried thousands of CIA and State Department employees camouflaged as tourists who left last summer for Addis. He also discovered that the man who calls himself President Carter is still on your payroll. He is a coward who gave up the presidency because of pieces of cards you call voting cards. We have a hunch he is a son of Greek merchant born of a Weyane woman. He wouldn’t conspire with the Weyane like that unless they were his cousins. You all must stop your conspiracy against us. We have warned you and you better take this warning seriously. We also have to tell you about the club you call UN. Gergis, though I know the man you call Koffi Anan (we call him Kufu’e Gwahmam) is enamored with Ethiopia, he does not understand he is helping the Weyane who are not Ethiopians. If he wants to help the true Ethiopians, he should put his hand under ours and help the CUD. There is a lot of planning that we are doing with the CUD. But Anan is not fit for the challenge. We tried to show him our brilliance in bringing about a quiet revolution in Sudan but he does not understand. We are expecting you to fire him and we have a replacement for you. Can you do that? No? American presidents are so soft you can’t even stay in power for a day more than eight years. Eight years? What can you accomplish in eight years? It took us 14 years to repair the Asmara-Massawa railroad. We are planning on another 15 years to repair the Asmara-Agordat railroad. The border war with Ethiopia is only seven years old and it is not yet resolved. What is eight years? Take our advice, forget about the election nonsense, just stay and we will teach you how to do that. On conditions are that, 1) you deposit for us 2 billion dollars into a Swiss account that we will give you; 2) topple the Weyane, and 3) install CUD in Addis Ababa. Then we will give them Assab. We are really thinking beyond borders. Sure, we will give them Assab, but we will be running Ethiopia, so, does it really matter? They are probably thinking the reverse, “sure, we will give them access, long enough to take Assab.” But we will outsmart them, and if we don’t, we will have a war with them in another ten years. By then, there will be a new generation of Eritreans who have to go to war to learn the true meaning of nationalism. Your predecessors knew that every generation has to go to war to learn about nationalism, but your government is too soft and is conspiring with the “free and fair election” drum beating of Weyane. We are sure if you continue in this destructive path, our patience will dry out. This is a very dangerous strategy. Then, your nuclear stockpiles will not help. We will impose sanctions on the USA and you will experience what poverty means. We might even refuse entry into Eritrea for your charities and NGO and stop them from helping Eritreans. Then when Eritreans die, you will suffer. We don’t care. You will have brought that upon yourselves. You will be responsible for anything that happens. 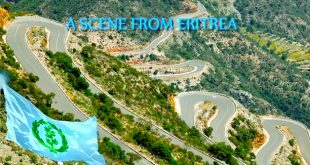 If pushed too much, we might pull Eritrea’s membership from the World Bank and you know the consequences of that. Chaos. The Bank would go belly up; international trade will be hampered; flow of capital from Eritrea will stop; and the whole world will enter a recession you never witnessed since we beat the Soviet Union. You will regret it when you see one million US$ exchanged for two Mexican Pesos–at least until we invade and occupy Mexico. You will be begging to borrow from our Nakfa reserves. It will be too late and we will not allow you to borrow. We will not allow you to use the Red Sea. Your salary will be reduced. Imagine the might of our army. We know: 18 Somalis made you flee Somalia. Compared to Eritrea’s force, the Somalis are a bunch of boy scouts. We can conquer the USA in 11 hours 59 minutes and 59 seconds. You will be left with one second to flee to the North Pole before the hands of the clock hits 12. You can’t. If we were not busy training the loyalist of Haile Sellasie and the remnants of the Derg on how to topple Brchqo’s cousins, it would have been different. That is why we are not tough on you. Once we are over with the training of the CUD, the darling qnnijjt, you have to run for life. What we will do to the USA will make the Alamo look like a child’s play. Gergis, we have some kindness left in us. We might be dissuaded from all of that if you heed our advice. For what they are worth, here they are. You might be forgiven if your Secretary of State goes on national TV and announces that her true name is Brchqo Gebreananya and not Candaleeza Rice. You instruct your operatives and agents of your friends the CIA to take Meles out– they know how to. You instruct that white-mustached John Boloton, the representative of yours in the UN to hit Koffi Anan with a bottle of Black Label whiskey until he bleeds (We need to see proof of the blood). Bring the Federal Reserve under the World Bank (We have plans for that). Appoint our advisor Weldai Futur (he is an old World Bank hand) to became the chairman of the World Bank (We will not approve your unilateral appointment of Greenspan’s replacement). Brchqo must resign and go back to Mekele to live with her father Gebreananya for the rest of her life. As a member of the ‘Coalition of the Willing,’ we will take charge of Iraq and show them how things are done. If you don’t follow the above advice that we have generously bestowed on you, it can be said you will be sorry when we decide to invade and occupy the USA. It means we will sit in the White house–we will paint it red and it means we will rename it The Bloody House. The State Department will possibly be considered to become the central prison. It means Brchqo will be jailed in its basement for life. You have been forewarned. PS: Girgis, in case you are saying why there is only one signature in the place of 14, that is because we hold all senior positions in Eritrea. We have bestowed advice upon thee on how to do away with elections and achieve that honor, if only you would listen. If you want to reply to us, use the e-mail at the bottom which belongs to one of your CIA and Weyane agent. Let’s define the problem here without promoting Alem Goitomism and confusing flaws for perfections. The problem of the Isayasist is that their Isayasism is driven by conceit, arrogance and lies. With each Isayasist boastfully claiming “we are number ONE” and yet, shamefully watching their shameful failure to alleviate the hardship experienced by the youth, who are condemned to grueling labor and difficult working conditions before forced to flee the country. Please be so kind to refrain from throwing words irresponsibly ! Remember that people have their INHERENT right to adore whoever they want to! But,FYI,people like HOPE do NOT people or Ta’ot but God! In the futureU R kindly asked to refrain from MISQUOTING me-HOPE! Empty barking and akaki -zeraf does not work with Eritreans! They shoot straight and they ONLY kneel down when they do so- when shooting at the right target and ,of course ,when they pray to God! Plus,PFDJ is not equal to even or close to Eritrea! But , it is the ONLY governing body right now and I have no choice but to swallow the bitter that is the GoE acknowledged by more than 189 UN Member States and until a better GoE shows up,I am here to love or to die with the current GoE when it comes to the National Security Interest of Eritrea is threatened from outside! Show me the money first,then we can talk the Real Talk,the fake and empty Gurra! We have to have plan B before we lose plan A! “….every generation has to go to war to learn about nationalism”. Nobody could put it better. Nationalism and war are intertwined. They work in a vicious circle, the one brings the other. One can say that most catastrophic wars were due to nationalism. Isayas’s humbleness would have gained many friends. At least being a little less confrontational would have neutralized his enemies into ‘no worse enemies, no better friends’ that might have nourished his silence to be reciprocated with little respect or to grow enmity-weariness. When one should learn from his mistakes to avoid their recurrence, Isayas seeks to recycle his failures for more failures. Isayas lacks the courage to recognize his illusions and face up the reality. In fact, he lacks the courage to be himself, a real failure, rather than externalizing his failure and blaming others. But seriously though,can you do some basic and Honest investigative Report on these Two Ladies and their DESTRUCTIVE ROLE on Eritrea and Eritreans? Refer to the ” Enda-Siwa” Pro-PFDJ website and get some Neutral input from Mr Hank Cohen! My Kunama is almost gone since I left Shambuko and Gogne/ Gash in 1980 but will consult my brother,who still speaks it! Forget Mr Cohen,if you believe he is biased or ” foreved” by the Enda-Siwa Web as you do not need to! It is 2+2 and 2×2=4 for ever,that these two Ladies plus a certain ” Dr” Jendayi Frazer have been the main culprits for our suffering! Did you say slaughter ? Of of whom by who? It is the minimum reaction to those Kezaben and Cowards hiding behind the computers-names with-held for “Security Reasons”! Keep your balanced comments and coded dialogue! Thank you awate team for putting the article back. the letter was sent on 10th October 2005 . but here after 10 years the email address for feed back is different. and there are more dictators since then lost on the wind like Ghadafi, Zain Abiden of Tunis and on the way Abdula Saleh and also Beshar etc. the positions mentioned all are okay except one – Chair, Department of Invention of New Tigrigna Words, I may have to take over this one – that is what we called reform Lol. You are very talented poet, remind me dr. Haile. You should make a collection, and hopefully one day you publish a book. I remember Dawit Yisak, he come to vuisit Athens from Sweden. And he read a poem book he wrote, for about an hour. I don’t think it was published, it was about romance or something. They use to say, if you fight with him, he writes a poem redicling you and he would post it in your class room or something. How would be nice if he was out, and see him redicle the dictator. I think the title should exist but should be filiped for the dictator and should be, department of destruction of Tigrina language. Your title would be chair of Tigrina Language Enhancement department. The message is about the Irony. If not for the irony, of course it will not make sense. 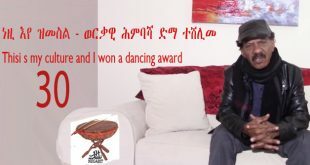 by the way Koffi Anan was best replaced in one of my poems ክፉእ ዓናን means ዓዋን – confused.. I didn’t see any irony in these title the president holds. May be now instead of Jontra, it may be leTsyto haircut. You have to see it from perspective of 2005. 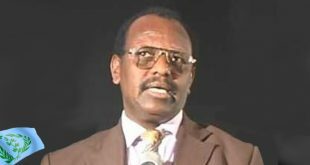 Back then, everyone was making fun of his silly foreign words (and concepts) that he presented as a clever invention of Tigrinya words. And it was Ironic to call him inventor of Tigrinya words when he was damaging the language. Really, He is in my mind. He use to hear about me and one day he asked people in Riyadh. by chance I was there and they set an appointment. It is useless if I put everything we discussed here but hopefully he will come out and who knows we both may write it all. in fact I gave to him my small book and he has written about me as introduction of the subject on Setit. we had a very good aim far from Politics.